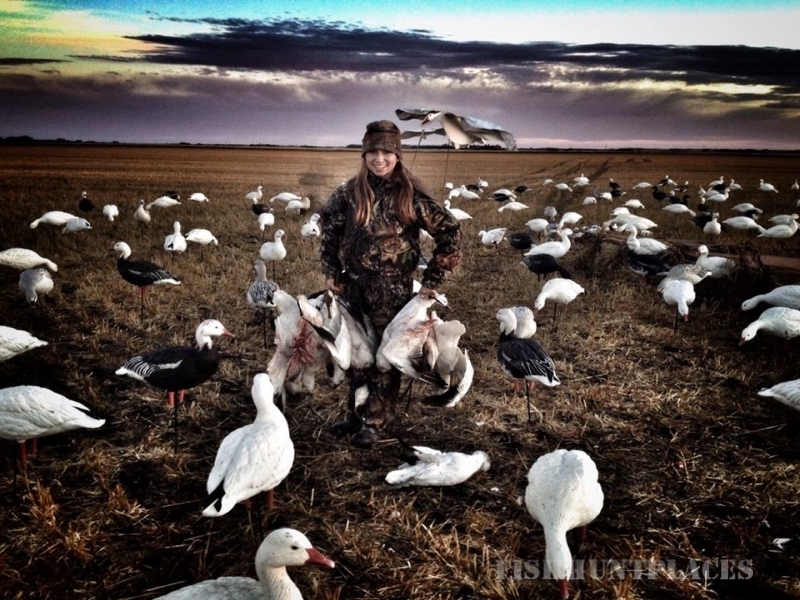 Your premier spring snow goose guide service in Missouri and South Dakota. 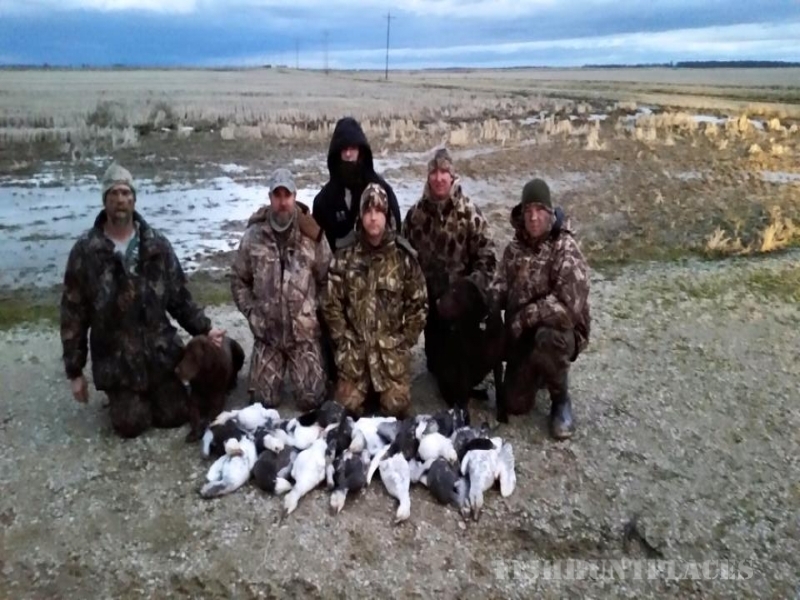 We specialize in spring snow goose conservation hunts. 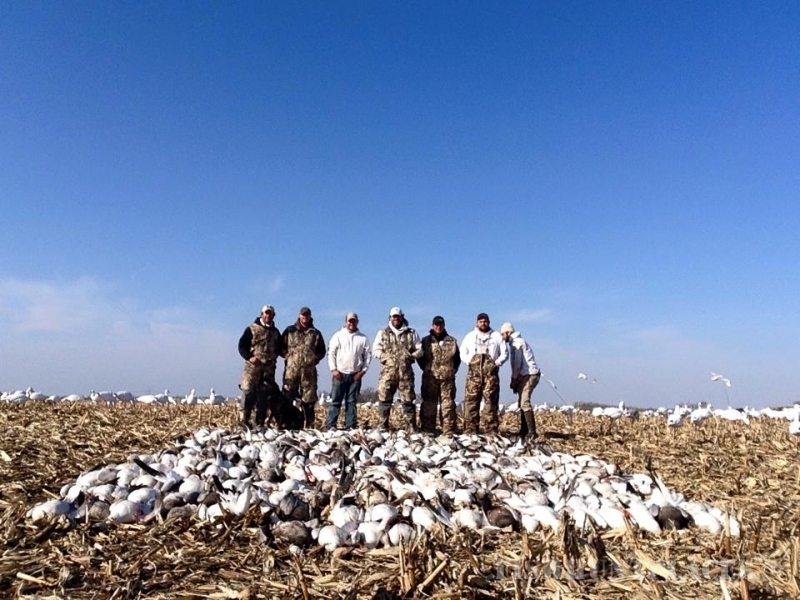 The conservation season was set in place to reduce the exploding numbers of snow geese. The spring season allows unplugged guns, extended shooting hours, and the use of electronic calls. The spring snow goose migration is a sight to be seen by all! 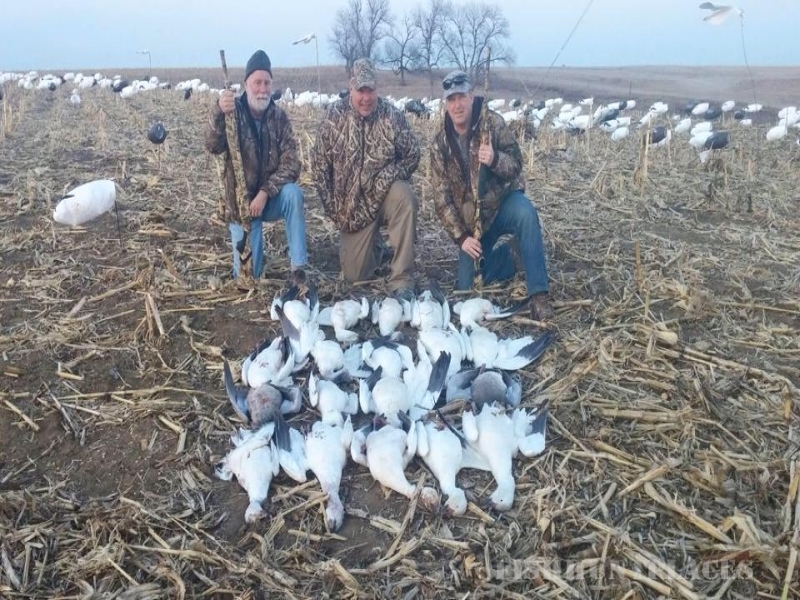 It is the one time of year that you can witness large masses of snow geese as they push north as hard as they dare to get back to their breeding grounds. 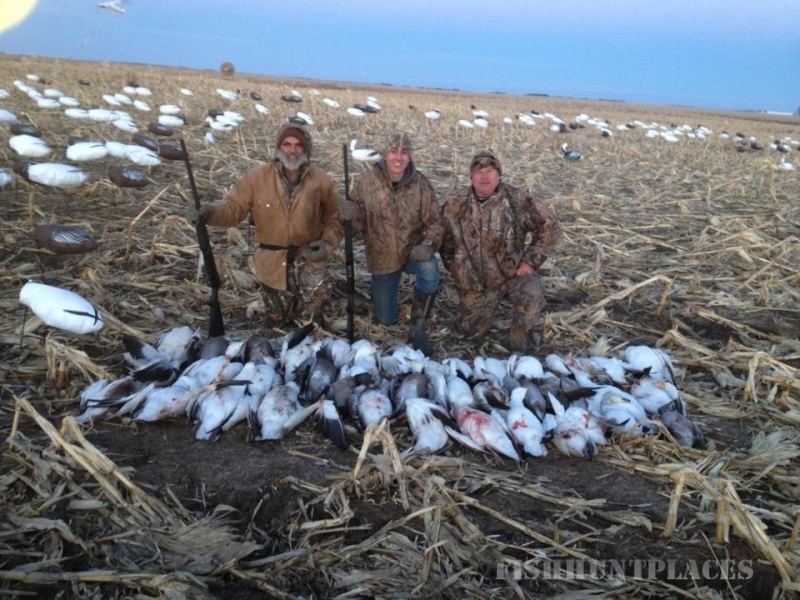 Our hunts are ran in the most productive areas in Missouri and South Dakota assuring you a quality experience with us. 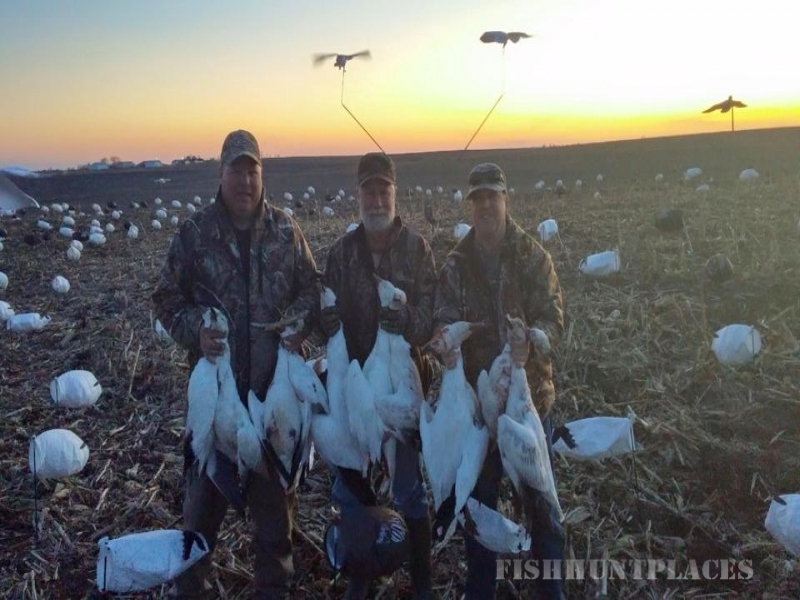 Let our team of dedicated and knowledgeable snow goose guides put our experience to work for you so you a can witness the bone chilling effects of thousands of geese piling in on top of you!! 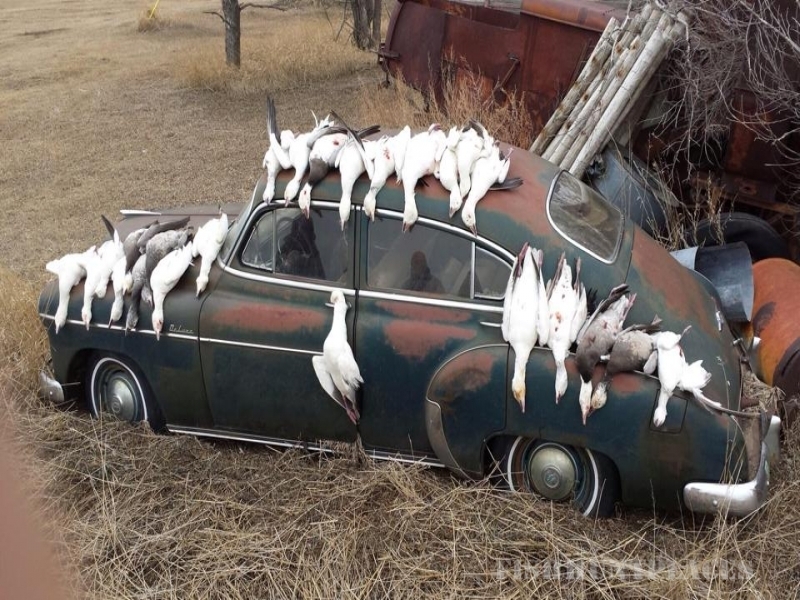 We start our season hunting SE Missouri and from there we migrate northward as the weather warms and the birds begin their journey back to the breeding grounds. We do the majority of our hunting in NW Missouri around the Squaw Creek area. 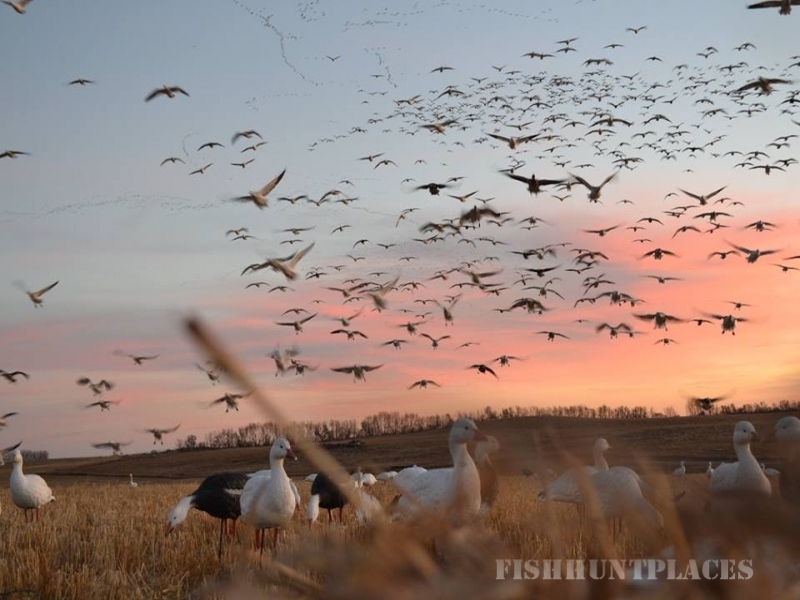 Missouri and South Dakota both are full of great opportunities to catch the spring migration. 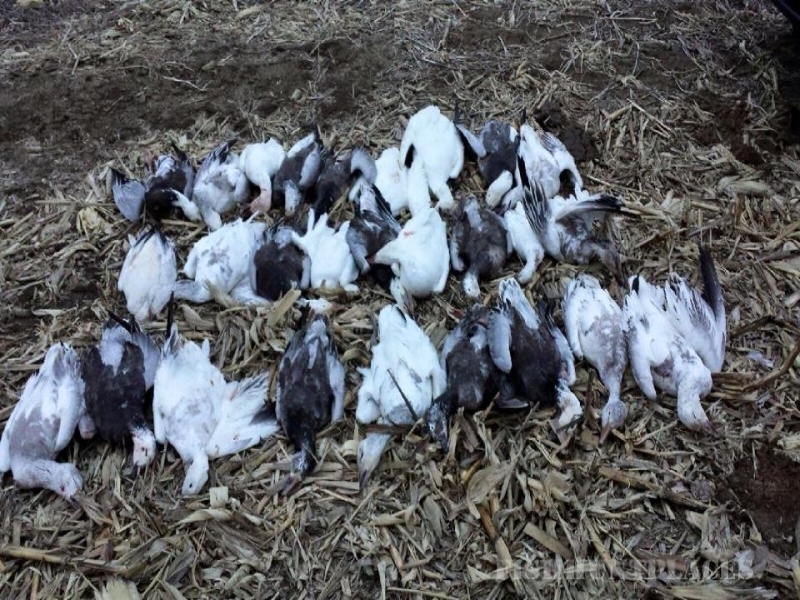 The spring conservation season provides a great opportunity to extend your waterfowl season. The spring season can be full of challenges as often times Mother Nature has these birds in constant movement north and south. We always do everything in our power to be sure we are where we need to be. We cut no corners when it comes to equipment, leasing land, and investing time to ensure you a world class hunting experience. We have ATV's in every field to get you and your equipment out to the blinds. We lease thousands of acres across the flyway to ensure we have plenty of options to stay with the migration. 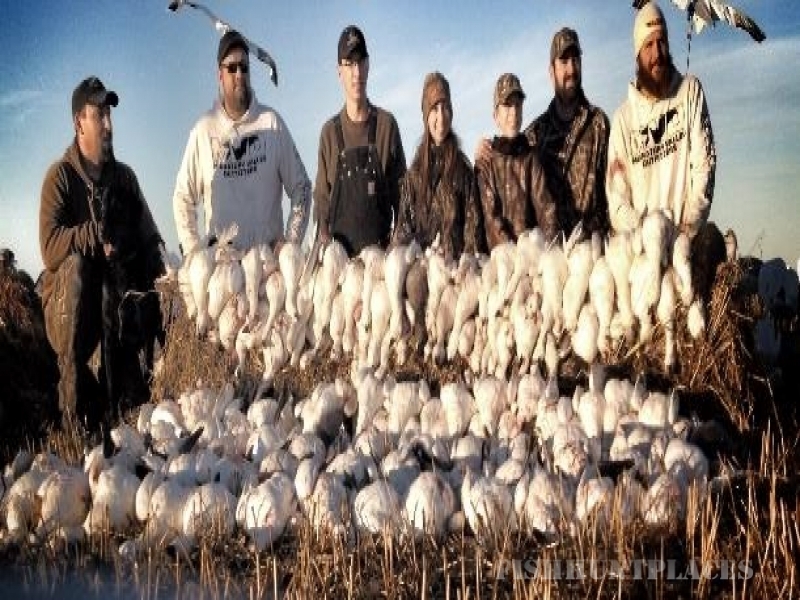 Our crews of guys are all very dedicated waterfowl hunters that specifically have a passion for hunting snow geese. We are not afraid to put in the extra effort it takes to be successful day in and day out. We as a group have accepted all of the challenges that the unpredictable spring season may bring upon us. We have been very successful hunting these birds for many years and are now ready to share the experience with you! !